Willie Williamson shows off a handful of cracked pecans. The Lamar Senior Activity Center raises money every year cracking pecans. For 50 cents a pound, you can get your pecans run through one of the center's four nut-cracking machines. 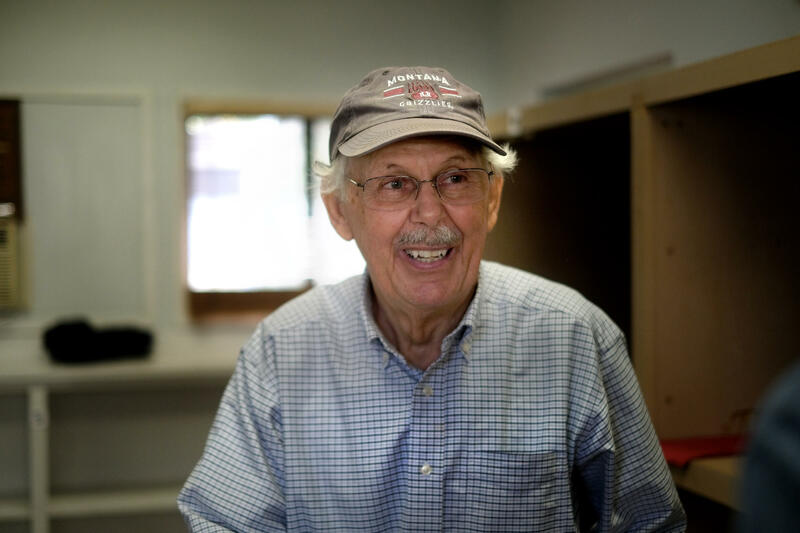 John Camden, who has volunteered to operate the machines for five years, says the service is usually one of the center's biggest fundraisers. Just not this year. It's not that people are taking their nuts elsewhere. At a time of year when it’s common to see people in front yards and city parks staring intently at the ground gathering nuts, the nuts – and by extension the gatherers – are strangely absent. John Camden, who helps crush pecans at the Lamar Senior Activity Center, says business has been incredibly slow this season. Why? Part of the reason is the way pecan trees work. Wild or “unmanaged” pecan trees (and to a lesser extent farmed trees) take a year off from producing nuts in between productive years. 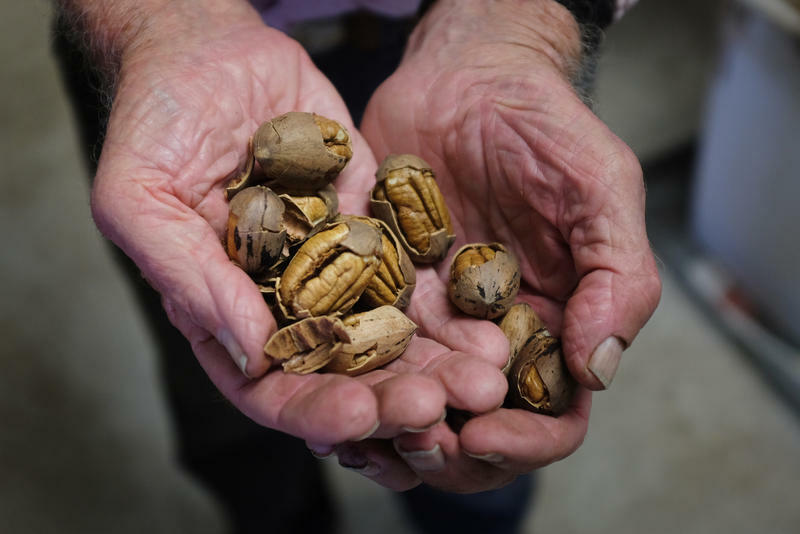 It's an important rest that helps them build up energy to make more nuts, says Monte Nesbitt, a specialist with Texas A&M AgriLife Extension. That cycle gets amplified when pecan trees in different parts of the state sync up with each other, having good years together, then bad years, in response to the weather. So, if a year is too wet or too dry in Austin, local trees might wait till the next year to produce pecans. Then that cycle gets locked in locally. 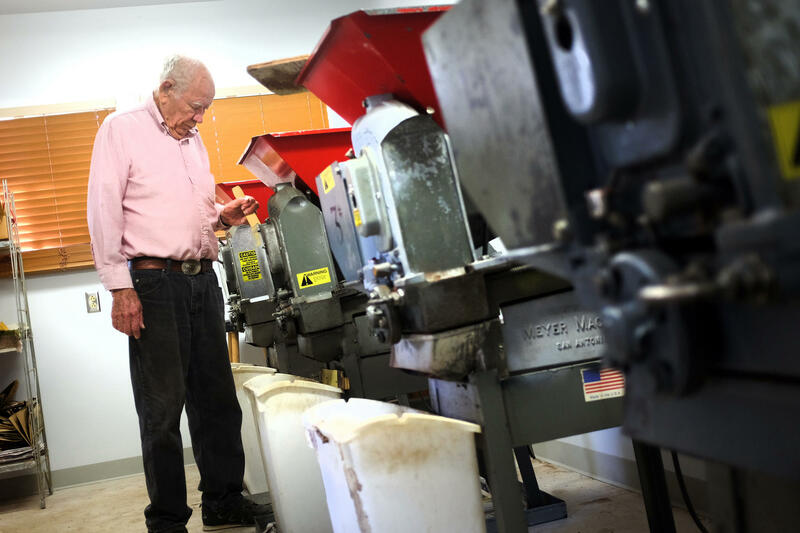 Williamson works a pecan-crushing machine at the senior center. Looking for a silver lining? If we have a cooler winter and enough rain, that should mean a big harvest next year, when the trees are well rested. “I think we will be. I think we’ll be back,” Camden says. In the meantime, he points out, the senior center also sells nuts, in case you don’t have any to bring in for cracking. As the official state tree and namesake ingredient in the state pie as well, the pecan occupies a special place in Texas. 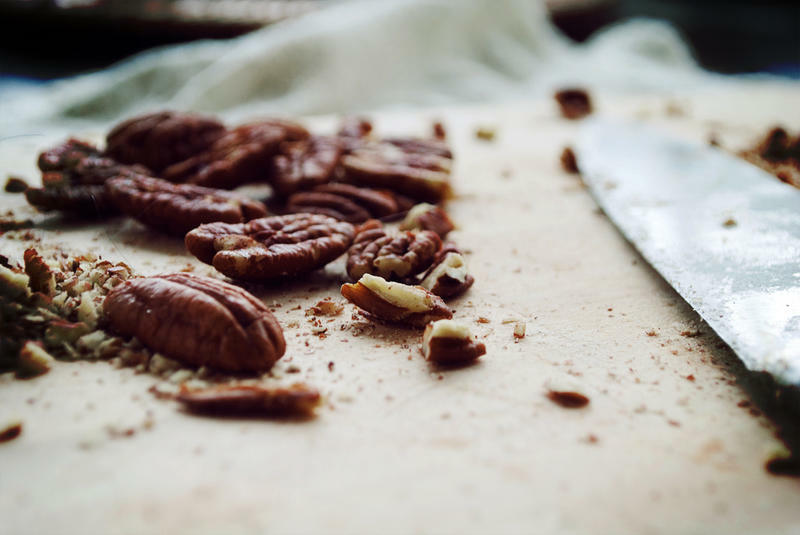 Although the state is one of the top producers of pecans, the nut’s success in one key international market has been more difficult to crack.